Dublin badman Simon Hayes a.k.a Swarm Intelligence has a fetish for the musically obscene. Expect a twisted mega-mash of grime, industrial techno and jungle. Simon also runs Stasis Records, a home for dark-floor electronics. 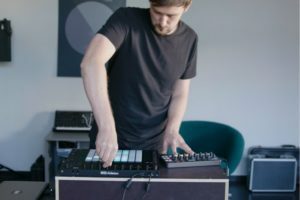 His debut EP was released on Invisible Agent Records in 2011, now based in Berlin, Simon has gone on to release on Ad Noiseam and on Voitax labels. Simon continues to blur the lines between bass heavy Dubstep, driving Electro and distorted Techno.